I can emcee your next event with poise, professionalism, humor and warmth! I have a wealth of public speaking and event management experience, from major conferences to comedy shows. I can read a crowd, make people comfortable and keep your event running on track and on time -- all while staying in your budget! While I perform stand up comedy regularly, you can rest assured that I won't hog the spotlight -- this is your event and I'll be there to help you shine! I've emceed comedy shows, nonprofit events and weddings. 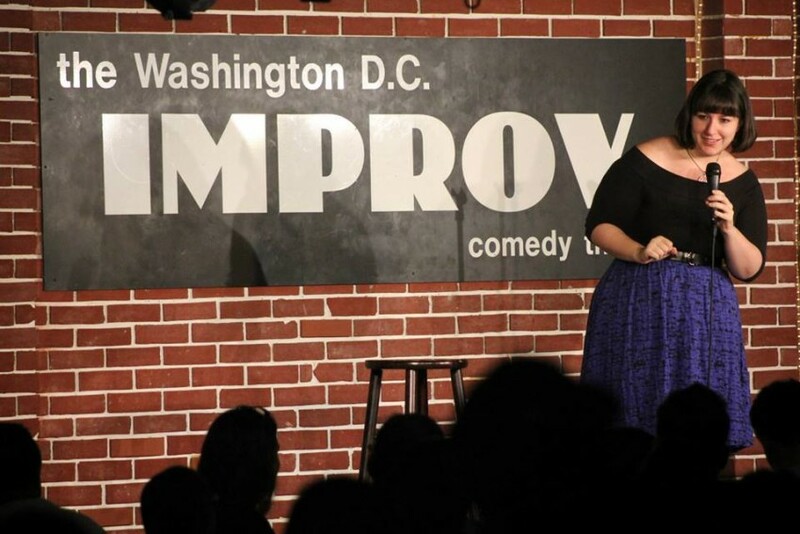 I'm also a stand up comedian (DC Improv, Howard Theatre) who produces local shows. I can easily do a clean set. Reach out if you're planning a comedy show! I reached out to Dana to headline my HOA Comedy’s show. She was great at entertaining the crowd and also brought three additional local comedians to host & open the show! Dana made the event one to remember. Thank you so much!! Thanks for reaching out to me, Faith! All the comics had a great time at your show. Dana hosted my Bridal Shower and was truly amazing! She was organized and made sure everything flowed nicely. My family and friends loved her and had an amazing time. I will definitely hire Dana again when I have another event. Thanks so much, Crystal! It was a pleasure to be a part of such a joyful event. Congratulations to you! Dana was a fantastic addition to The Resisterhood Concert (3/20/18) in DC. The event included multiple women's performance groups, so Dana's main responsibility was to introduce groups and fill time as groups were leaving/entering the stage. During the planning process, Dana's insight and experience in similar events was invaluable. She helped us figure out the flow of the event and put us completely at ease. We knew she knew what she was doing, and as an organizer of a public performance, that kind of established trust is invaluable. Dana was flexible during the planning process and kept abreast of new developments, so we felt that even if the event didn't run as smoothly as planned, she would be able to roll with the punches and keep the audience entertained during lulls/mishaps/etc. I would absolutely hire Dana again, obviously, but even for this one fact -- she's really freaking funny. Oh, and she helped us raise more than $1700 for Planned Parenthood in just two hours. Seriously. Hire Dana. I hope to work with her again in the future! Thanks for your kind words, Becky! And congratulations again on your successful event. I hope we can work together again as well! -Learn names, pronounce them correctly and give everyone a warm introduction and thank you. -Prepare remarks and/or read welcome remarks (if needed). -Help with day-of logistics (I LOVE event planning and can do day-of coordinating as well -- please reach out!). -Cue music, PowerPoints, videos, etc. -Jump in and help out with whatever you need on the day of. -Emcee your event with poise, professionalism, humor and warmth! If you contact me, we'll set up a time to discuss your needs, budget requirements and event specifics and go from there! We'll work together on an event schedule and do a complete run down of everything you need for the day. From hosting comedy shows at the DC Improv to leading workshops on sexual assault on campuses across the country, my down-to-earth speaking style and comedic sensibility has enabled me to engage and entertain diverse audiences in a variety of contexts. 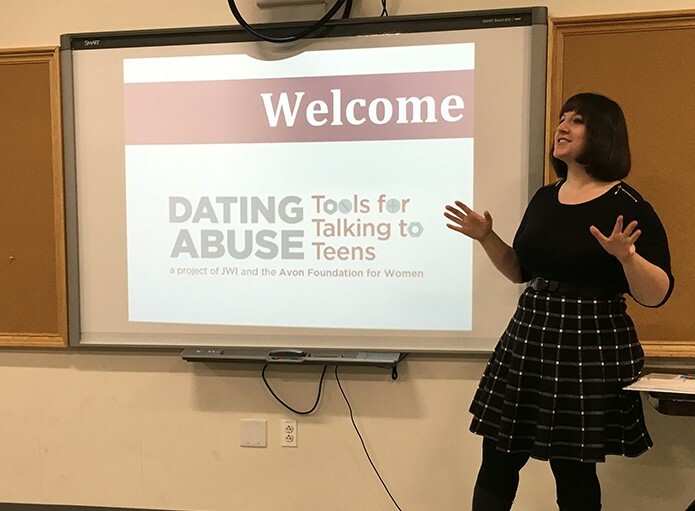 In my past position as the Senior Manager of Prevention and Training Programs at Jewish Women International (JWI), I created and facilitated original trainings on sexual and interpersonal violence at campuses and conferences around the country. True story: I once did a solo presentation on sexual assault for a group of over 350 fraternity men. I found this fun and got a standing ovation! This is my way of saying: I don't scare easily, I can handle a tough crowd and I know how to tailor my style for different audiences. I've been performing stand up comedy in the District and at festivals around the country since 2012. 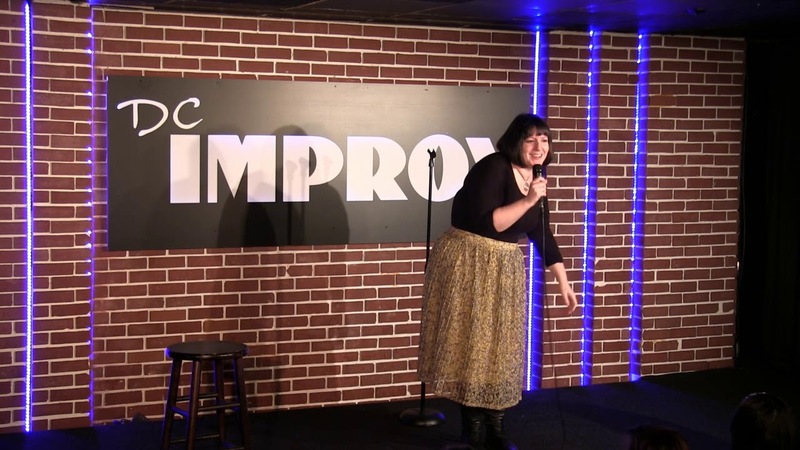 My stand up is sarcastic, witty and often includes imaginative over-analysis of everyday life. I frequently explore super original and edgy topics like my cats, dating and eating. 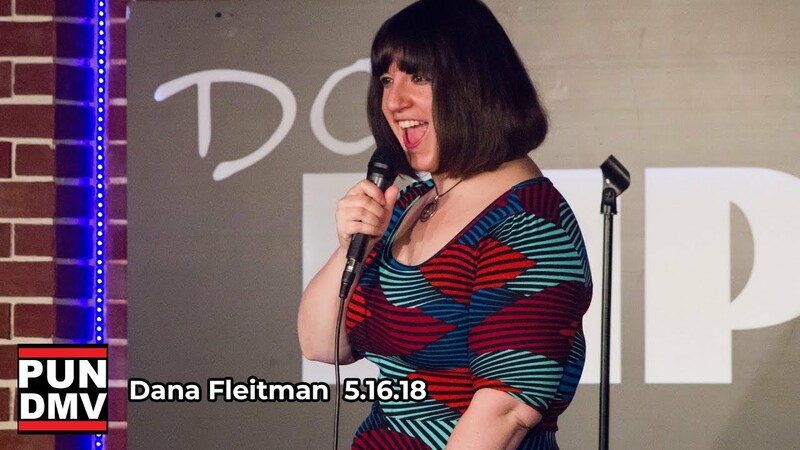 I have performed at the Howard Theatre and the Contemporary Jewish Museum and am proud to be the regular host of the DC Improv Beltway Pundits Pun Competition! I also produce and host highly elaborate theme shows for holidays. As you may have gathered, I love public speaking, being in front of people and getting crowds excited about a topic or an event -- that's why I'm delighted to be emceeing weddings, fundraisers and other events! I served as the day-of coordinator and emceed a friend's wedding and had so much fun that I'm hoping to bring my skill set to more brides, grooms and other groups! Her quote: "Dana really knows her way around a clipboard and a microphone! I could actually sit back and enjoy my reception knowing that the details were in her capable hands." I truly enjoy event logistics and love being able to help you enjoy your day and focus on what's important while I chase down the photographer or stall because the IT glitched. I'm open to opportunities including stand up, curriculum writing, facilitating/presenting and emceeing parties/weddings. Please reach out and let's see how we can work together!